The teacher assessment frameworks, produced by the Standards and Testing Agency, should be used by primary teachers to help make robust and accurate judgements at the end of Key Stage 1 and 2. To show that pupils have met the standard for science, teachers will need to have evidence that a pupil demonstrates consistent attainment of all the statements within the standard; both for 'working scientifically' and for 'science content'. 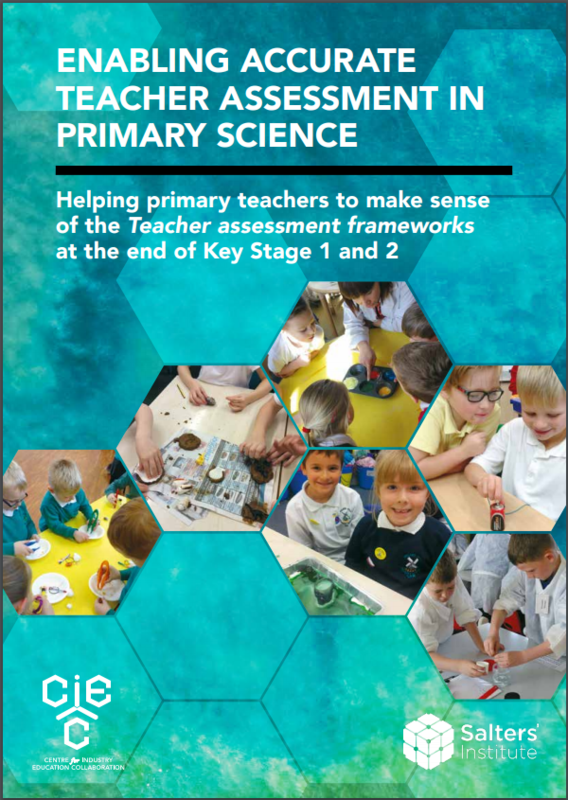 In response to this, CIEC have produced Enabling Accurate Teacher Assessment in Primary Science, which includes comprehensive guidance for teachers of all year groups on how to carry out ongoing assessments and make useful contributions to end of key stage judgements. This second edition is to be used for the academic year 2018/19 onward. Contact CIEC if you would prefer published copy, at £2.50 (plus p&p). We can offer a discount of orders for 8 or more. Teachers may wish to collate and monitor assessment judgements throughout the year by using some form of tracking system. CIEC's Science Assessment Records for Year 1 to Year 6 enable communication throughout the school. The Year 1, 3, 4 and 5 spreadsheets include all of the National Curriculum (England) statutory requirements for primary science whereas the Year 2 and 6 spreadsheets contain the full list of end of key stage 'pupil can' assessment statements from the current Teacher Assessment Frameworks. For each spreadsheet, statements highlighted in yellow refer to end of key stage 'pupil can' assessment statements. This will enable teachers from every year group to identify which areas of their programme of study will contribute towards a child's end of key stage judgement.